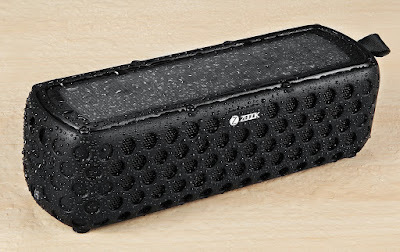 French Company Zoook, a pioneer in innovative consumer technology products, has introduced India’s first ever solar powered waterproof speaker, the ZB-Solar Muse. A speaker like no other, this is a next generation, one of a kind innovation in India with an all-weather portable device designed to give you the best ever 3D surround sound. 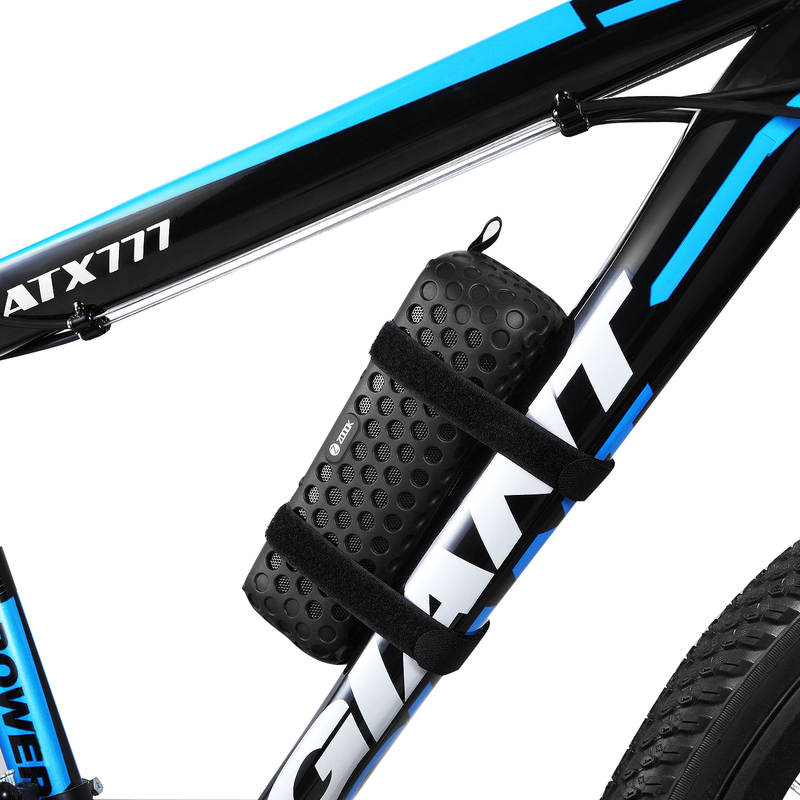 Switching to solar power is now extremely easy with no more hassles of connecting speakers to power plug-in’s or adaptors while you are on the go. No cables, no electricity just good music with the ZB-Solar muse. Looking to make summers all the more fun and your outdoor entertainment way better than you think, Zoook’s ZB solar muse is shockproof, dustproof and waterproof. Not only does it have a 30 Hour battery backup, but an integrated solar panel charges the lithium battery that keeps your music going when you are out and about at a beach party or camping trip. Shaped like a box, the speaker uses APT-X high definition technology that provides the original sound of exceptional quality. With detachable velcro straps, cyclists can easily strap the speakers on to their bikes to enjoy music on their excursions. Easy operation with a hybrid power you can wirelessly stream music from any Bluetooth device (Be it phones, MP3 players or music players). 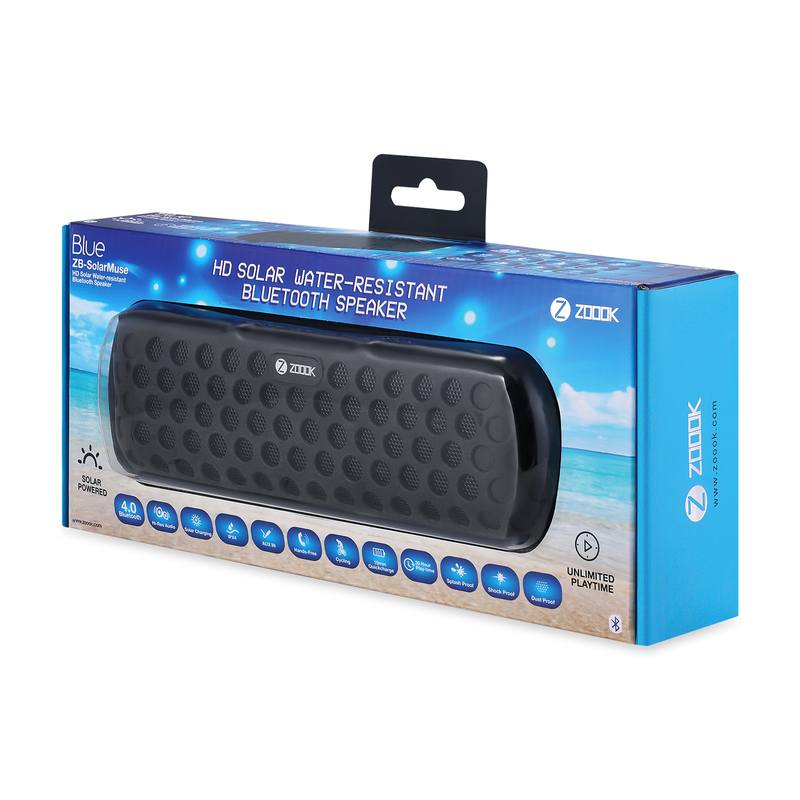 This handy speaker needs only 10 min of sunshine to give you 30 min of uninterrupted music. It is indeed time to enjoy life, share music and enjoy a good time together with Zoook’s ZB solar muse. Currently priced at Rs. 4999, the solar powered wireless outdoor speaker has some more exciting features that are sure to make your heads turn. A built in flashlight to help the nomad in your search in the dark and a microphone feature lets you answer calls when you don’t have your phone around. A powerful LED display with a 5v/2A quick charge comes in a single color. The ZB- Solar muse has been made available at all leading online platforms and offline stores.